OWN A PIECE OF HISTORY! Get this one of a kind, hand made, fine crafted Collector’s Edition plate commemorating the Computer Internet Show that changed the world forever. It will eventually come with a display stand and Certificate of Authenticity. We are at the moment determining if it is, indeed, authentic. We don’t know what in the world would make such a thing INauthentic. But, as soon as we locate the folks who are authentically certified to authentically certify the authenticity of the authenticity certificate, we’ll let you know if it is. It’s tricky. Stay tuned for details on how you can one day own this authentically historic piece of authentic history. 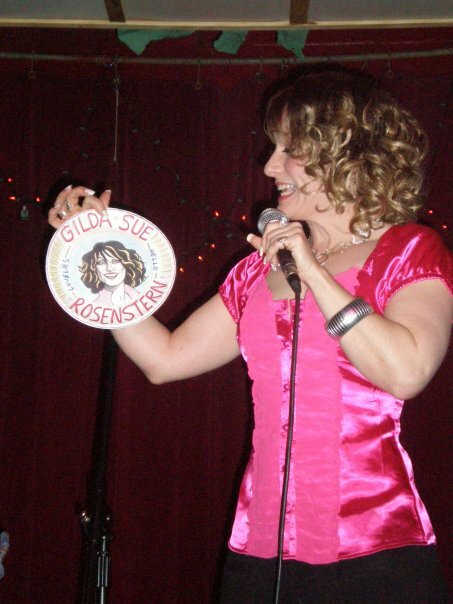 DISCLAIMER: The Gilda Sue Rosenstern Commemorative Plate is a paper product and should not be exposed to high temperatures or excessive moisture.